Utkal University +3 exams 2016 time table is announced. Mostly if you are study at Utkal University in +3 stream like Arts, Science, Commerce then you must know the final year exam time table for attending the exam. 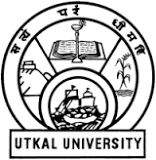 On the date 21st January 2016 Utkal University in her official website published the notification for Utkal University +3 1st Year Examination 2016 time table (Regular & Back), Utkal University +3 2nd Year Examination 2016 time table (Regular & Back) and Utkal University +3 Final Year Examination 2016 time table (Regular & Back). Also students you get all the table table of back examinations. So are you interested to download utkal university exam schedule 2016 then just follow or read the topic to get the details about it. As per the Utkal University +3 Exam Schedule 2016 the first year exam going to starting from 13th April 2016, second year exam starting from 21st March 2016 and the +3 final year exam going to starting from 22nd March 2016.